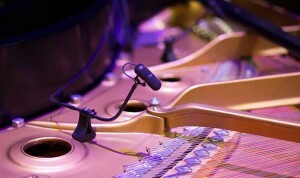 USA - The School of Church Music at Southwestern Baptist Theological Seminary recently enlisted the help of DPA Microphones and Steinway Hall of Dallas, Plano and Fort Worth to put on Keyboards at Christmas — a performance of 'grand' proportions. 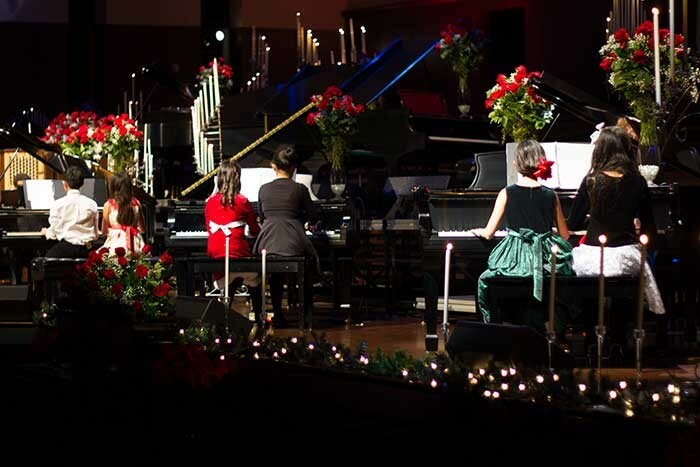 With 17 Steinway Grand Pianos on stage, student and professional musicians performed holiday songs for the packed house at the 3,500-seat venue. Already DPA Microphones enthusiasts for the ability of its mics to reproduce the natural beauty of a Steinway, the music staff at Southwestern Baptist knew it wanted to equip all 17 pianos with three d:vote 4099 instrument mics each, for a total of 51 mics. A clear, pristine sound was the school’s primary requirement when searching for a mic, and it was obvious that the DPA d:vote was the only choice. While this is the second year of the event, the school’s 2012 performance was held in a smaller, more acoustically tuned venue, so the staff did not require microphones. 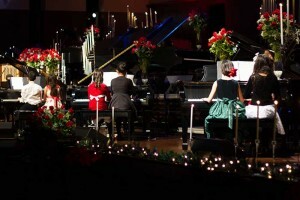 For this year’s Keyboards at Christmas, the school increased the number of pianos. To ensure that audience members had a clear view of every musician, the stage had three elevated platforms, which allowed them to place five pianos at the top, six in the centre and six in the front. In addition to the large supply of d:votes, the company loaned the school two d:facto vocal microphones for the soloists who accompanied the pianists. DPA’s sales and marketing rep, James Capparelle, also attended the event to help with setup and make certain everything ran smoothly.